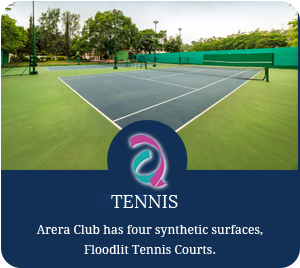 Arera Club has four synthetic surfaces, Floodlit Tennis Courts. 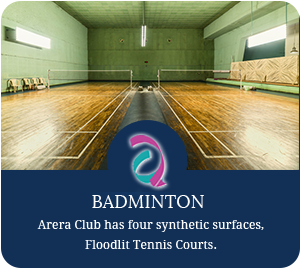 The entire tennis complex has been enclosed by 12-foot high chain-link fencing. 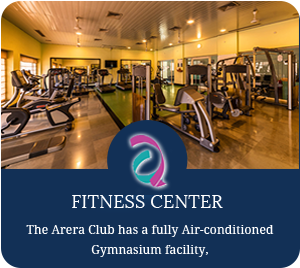 Arera Club is the best club in bhopal for playing golf. 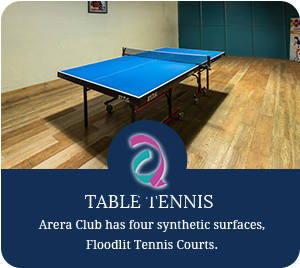 Table Tennis is a more professional way of playing the game, Arera Club has one Table Tennis hall. 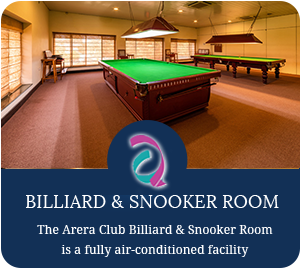 The Arera Club Billiard & Snooker Room is a fully air-conditioned facility with two Billiard/Snooker table (one vintage).